The Canadian Conference of Catholic Bishops (CCCB) is deeply concerned about the implications of the decision by the Supreme Court of Canada published 15 June 2018. 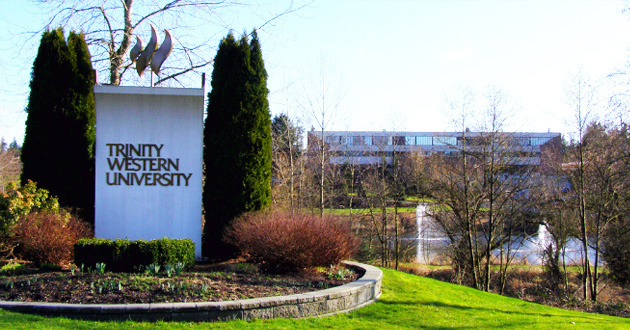 In its two parallel 7-2 rulings, the Court has decided that the law societies of British Columbia and Ontario can refuse to accredit any eventual graduates of the Trinity Western University (TWU) Law School, should TWU proceed with its plan to establish such a school and if TWU maintains its current Community Covenant. The Community Covenant is an agreement signed by all TWU students, staff and faculty "to embody attitudes and to practise actions identified in the Bible as virtues, and to avoid those portrayed as destructive." Among actions identified as virtues are to "treat all persons with respect and dignity, and uphold their God-given worth from conception to death," and to "reserve sexual expressions of intimacy for marriage." Among those actions from which to abstain are "sexual intimacy that violates the sacredness of marriage between a man and a woman." The Court ruled that the Covenant would deter LGBTQ students from attending the proposed law school, and held that those who did attend would be at risk of significant harm. At the same time, it said the public interest of the law profession included promoting equality by ensuring equal access, supporting diversity within the bar and preventing harm to LGBTQ students. It described the Community Covenant as a preference and not otherwise necessary for prospective TWU law students, and thus as not essential to the TWU mission. The CCCB and the Roman Catholic Archdiocese of Vancouver were among those intervening before the Supreme Court in the two related appeal cases. In its arguments, the Conference observed that the Court's eventual decision "will not only have a profound impact on TWU, but on Catholic and other faith-based religious education, as well as Catholic health care and other faith-based care facilities across the country." Catholic moral principles and values which are to characterize and guide all Catholic institutions, and as taught for example in the Catechism of the Catholic Church, are in many ways similar to those in the TWU Community Covenant. The CCCB intervention before the Supreme Court also drew attention to problems involving the "intolerance of those who believe in the religious institution of marriage as being between one man and one woman" and ignoring the protection afforded to religious communities as provided by the Civil Marriage Act. Furthermore, it pointed out the risk of establishing "a hierarchy of rights" in which "the equality rights of the LGBTQ community, considered in the abstract, will trump the right to religious freedom and so undermine all Charter protections." The decision by the Court effectively means that provincial law societies can discriminate against lawyers on the basis of their religious affiliation and moral values. Furthermore, any organization is now at risk for its views on equality, diversity and inclusion if it depends on a regulatory body with a mandate to act in the "public interest". This means that the Court's interpretation of "public interest", in a way that precludes the accreditation of the TWU Law School as governed by the Community Covenant, has serious implications for all private faith-based educational institutions, and could have negative repercussions for religious charities and other organizations. In their minority opinion, the two dissenting judges on the Supreme Court offered a more encompassing view of the public interest. They wrote that "Accommodating religious diversity is in 'the public interest,' broadly understood, and approving the proposed law school does not condone discrimination against LGBTQ persons."